The main session this week, featured in the accompanying video, was back to the Shropshire lake I filmed on video a couple of entries back. It doesn’t hold carp anywhere near as big as some of the venues I fish, but I enjoyed it there, and ultimately that’s what counts. It’s not the sort of place I would maybe want to fish regularly, but in these days of weight-obsession it’s good sometimes to go and have a session on a venue where a double is a decent catch. And with the mild spell continuing I saw it very much as a winter carp window of opportunity. The eagle-eyed regular followers of my angling adventures will recognise that I’m in the same spot as my previous visit. In fact the bank I fished is so overgrown and inaccessible that there isn’t that much choice really. Assuming we’re able-bodied of course, swim location shouldn’t be about us, but the fish. The only time we come into the equation is safety. Again, back to the video, I refer to why I chose to fish such a difficult spot when there are loads of easy comfortable swims all around the lake. 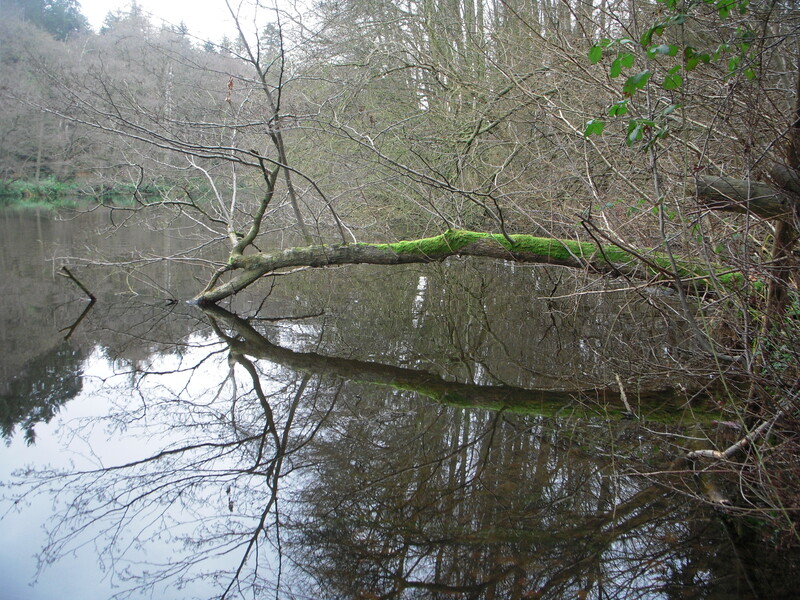 Winter carp fishing is all about location, location, location. There is also often a price to pay for fishing such spots. As my wet foot for most of the session confirmed! My bait approach was very similar to my last visit. On one rod I fished two popped-up corn-shaped boilies dipped in whisky link. 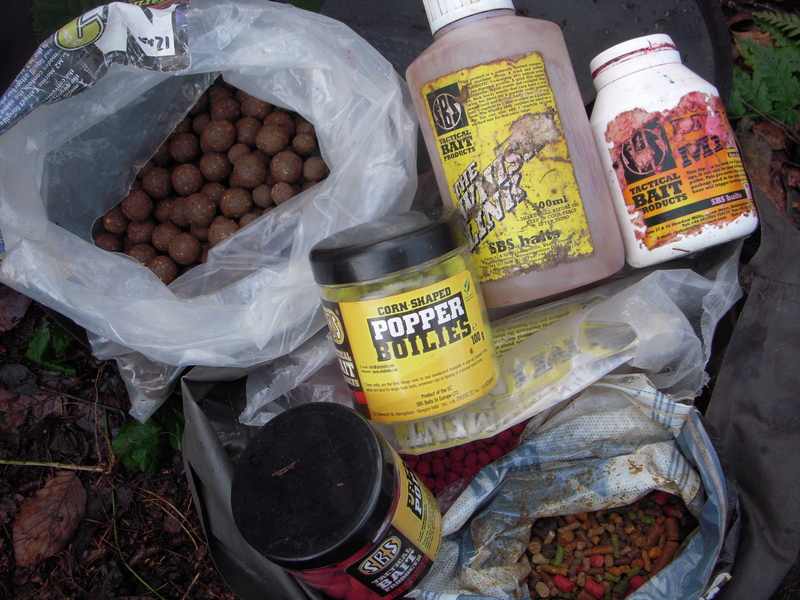 I cast out with a PVA bag of multimix proactive pellets. 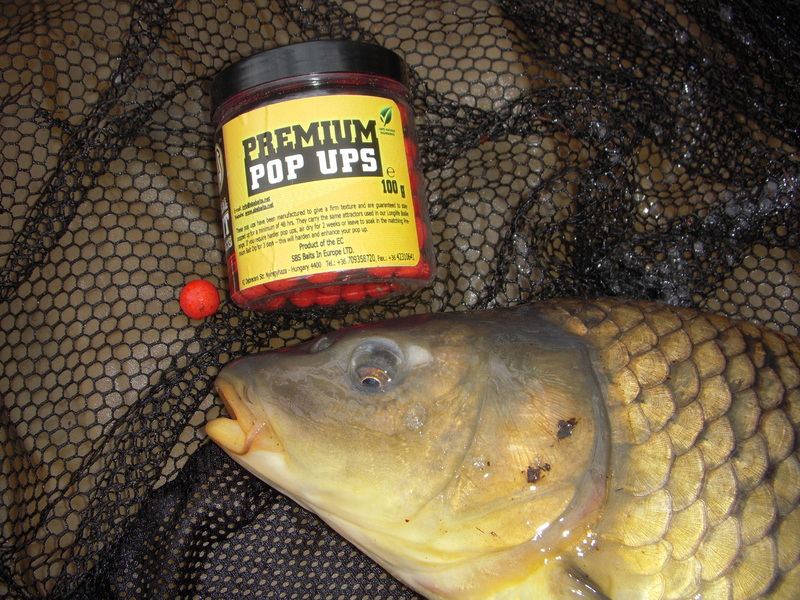 The other rod saw a 14mm dipped M2 pop-up again cast out with a bag but containing M2 pellets and boilies. I catapulted M2 pellets to both spots, about 3 lengths from the bank. When I first started using SBS Baits a few seasons ago, the first range of products that caught my eye and I started fishing with was M2. 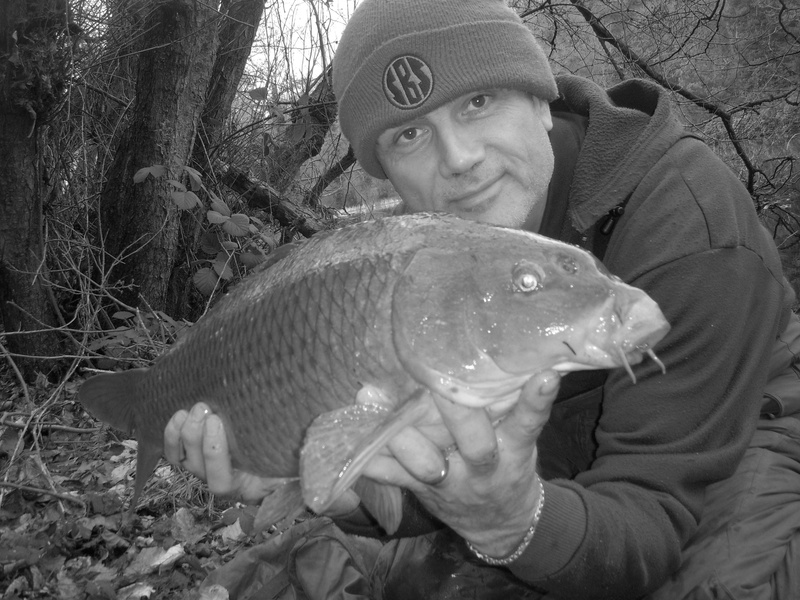 I remember commenting to Des Taylor what an instant success they had been on canal carp that had never seen a boilie. I went for the M2 to see how they would compare to the tried, trusted and in-form corn poppers. The latter’s name was first on the team sheet. But it was the M2 that opened my account. Not a big fish, but that’s the venue anyway. And with some tougher challenges to come to round the entry off, I was just glad to bank a fish. 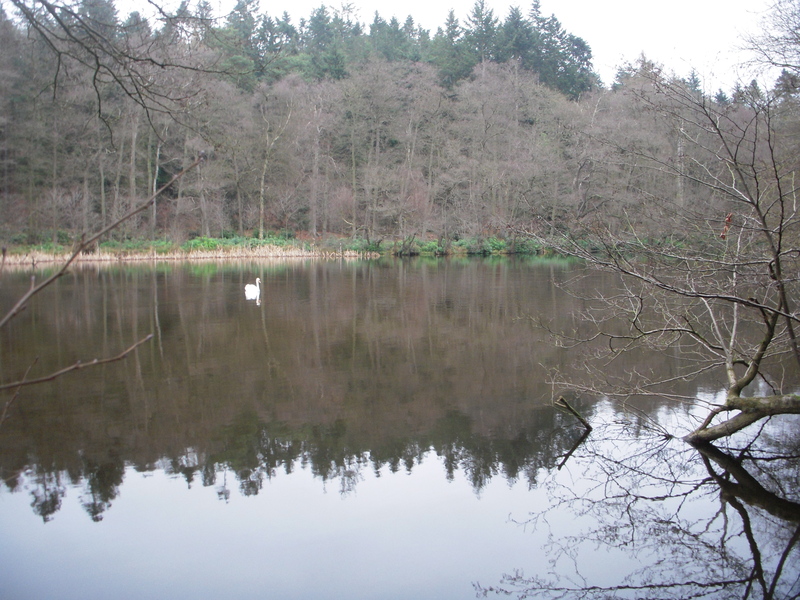 The lake itself is quite shallow and you can see the fish in your swim, as dark shadows, and also via the underwater cloud they create as they feed. The next two fish were landed on the other rod as the corn-shaped boilies came from one down to take a 2-1 lead. I didn’t photograph the second fish but you can see the third one below. The water temperature was 7.1C, which was a reasonable increase since my previous visit. That’s good for January. If I get that early March when I begin my gravel pit campaign I’m pleased. Run number four did not become another fish as I had a hook-pull. These things happen and at least it was a small fish not ‘the monster of the lake’, if indeed such a creature exists on this venue. So whilst the corn lost a chance to extend its lead, M2 hit an equaliser with another common. But not to be outdone, the corn bounced back to edge the competition with my fifth fish of the day. I was hoping to get a picture of it being returned. But with a powerful flick of the tail all I got was a wet sleeve. To go with my wet foot. One more submerged body part and it would be a case of wet wet wet. Younger readers probably won’t know what I’m talking about. As I mention in the closing stages of the video I had other sessions to fish, and rather prophetically I blanked! In my defence though they are different kettles of fish, so to speak. 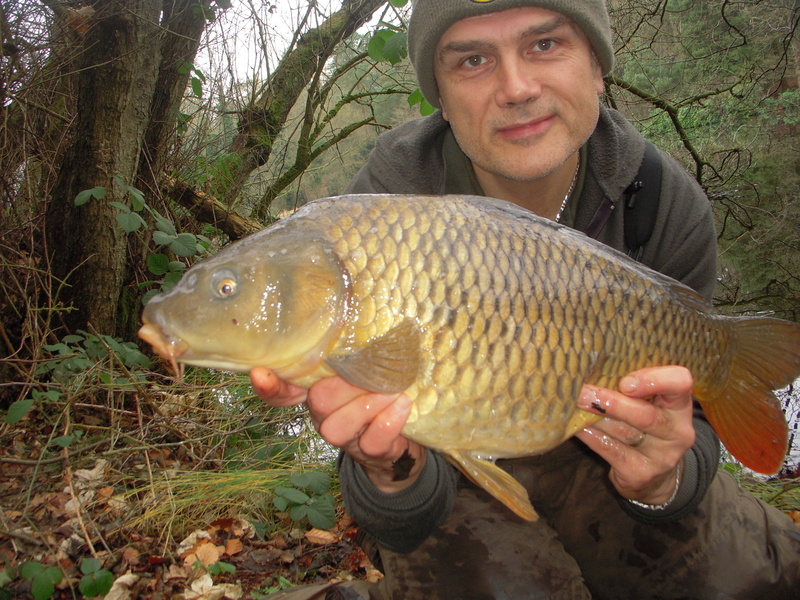 On one I did a daytime session where the carp are elusive in summer, never mind winter. There’s not so many in there but they do go big. 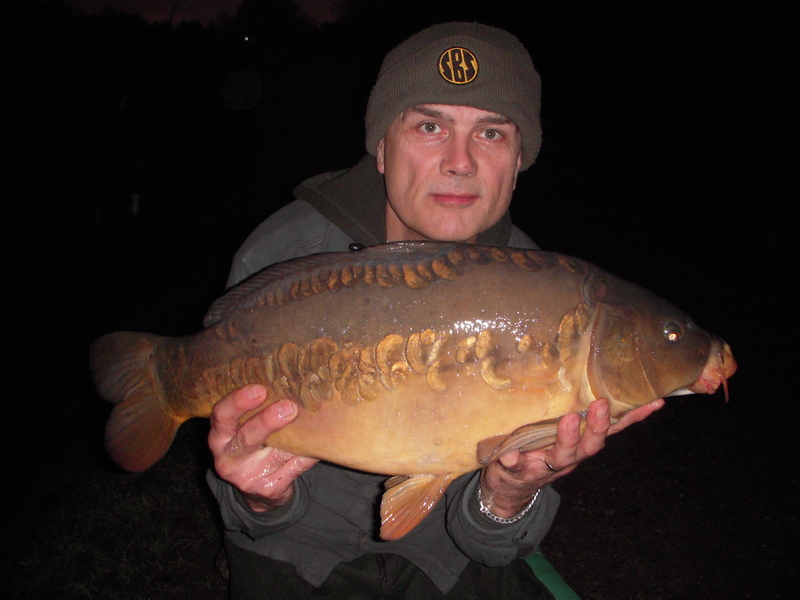 Then I did a couple of separate overnighters on another lake. I was alone on one of them but on the other there were five of us, and from what I picked up on not one of us caught. But I did land a fish, see photo below. One of the guys had to leave the lake for a few minutes so he gave me his receiver. While he was gone he had a screamer that I landed. Who’s fish is it? Well as far as I’m concerned, in those circumstances, it’s no-one’s. And certainly not mine. For a fish to count I have to do everything otherwise we could get people to bait, cast etc for us.